School’s out which means the neighbors will soon be teeming with kids looking for things to do. Recently, a group of youngsters from East Bay took a bus trip up to Sacramento to champion a high-quality summer program for low-income neighborhoods. This is actually a very serious issue facing kids and is called the “summer slide.” A study has found that for kids who take the summer off from being engaged in learning tend to drift further away from developing the skills they’ll need when they return to school. This doesn’t mean that kids should stay in school year round (although some parents might like that!). Instead, they should be given the opportunity to enroll in programs that bring them structure and fun activity like sports, reading and field trips. That’s just what those East Bay kids were doing as they toured the capital and got to ask lawmakers what their favorite summers were when they were kids. Everyone has a fond memory of vacations by the beach or up in the mountains. Maybe it was a cross country trip with the whole family packed into a RV. Whatever the memory, summer is definitely a time for kids to be outdoors engaged in all kinds of fun. The goal is to have a safe summer. Every 4th of July we’re reminded of the dangers of playing with fireworks with displays of department store mannequins getting blown up by firecrackers. However, there is another danger that could be found around neighborhoods in the form of abandoned refrigerators. All it takes is one tragedy to release how crucial it is to properly dispose of your old refrigerators. 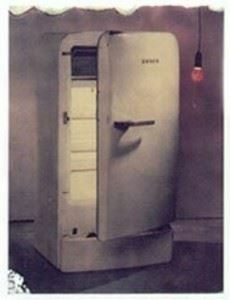 Even putting an old fridge in your garage isn’t 100% full proof. There is simply no telling what kind of exploration a kid will get into over the summer. And don’t try saying, “Stay out of the garage.” That’s just an open invitation to go there! The best course of action would be to hire a professional hauling company like Junk King to take away that refrigerator and dispose of it properly. Not only can you rest assured that you’re unused appliance won’t cause any harm; you’ll actually be in compliance with the law. If you decide to keep that fridge then you either have to remove the door or padlock it. Taking off the door is easy but then you’ve got the door and the fridge sitting there collecting dust and rust. The padlock option is viable but the bigger question is why are you going to hold onto something that you’ll never use again? Do you really want to waste the storage space? One call and you can have the icebox taken away. And while you’re at it, you might also find several move large items worthy of the trash heap. Just because the junk haulers are taking away your fridge doesn’t mean they can’t also take away all your other trash! This entry was posted in Alameda Hauling, Berkeley Hauling, East Bay Junk Removal, Junk King Alameda, Oakland Furniture Pickup, Old Refrigerator Disposal and tagged Alameda Refrigerator Disposal, East Bay Hauling, east bay junk, East Bay Refrigerator Disposal, Get rid of old refrigerator on June 29, 2011 by Junk King. Last updated August 4, 2017 .